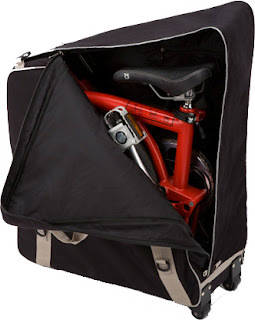 Over the last few hrs I have been looking though as many Brompton blogs about travelling overseas with a Brompton Bike. I'm going on holiday for the first time in MANY yrs and was seriously thinking about taking Bumble B. It's abit late for me to take him (I leave on 5th) and I personally don't like to rush into things without doing some major research into the subject. From what I've read there are 2 bags I could use for taking The legend overseas. I will be looking into these more closely for my next major holidays which will probably be 2013. I don't normally go anywhere when I got holidays but having a Brompton bicycle kinda gets you thinking on a totally different level when it comes to travelling. I'm just toying with the idea of taking Bumble B with me when I do go overseas as I haven't done alot of travelling for many yrs and I'm thinking that I should get out there and see this wonderful planet abit more. It's a hell of alot better than sitting at home on my holidays getting depressed as I have done in the past cause I haven't gone anywhere. 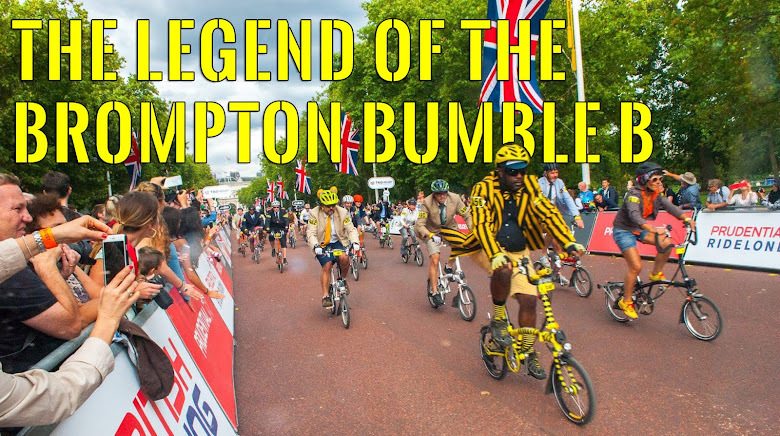 The thing about getting a Brompton Bicycle is that you automatically go out into the world alot more and meet new people everyday. You end up making lots of friends and cycling further every single day. 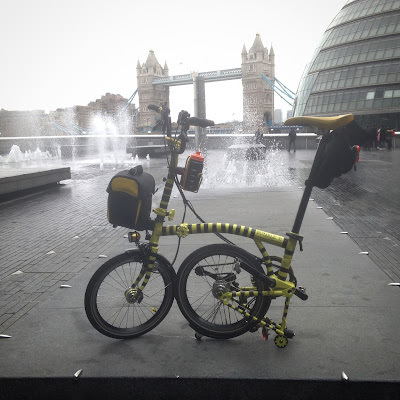 I think in the future I will be slowly but surely travelling further as my fitness level increases and attend more rides with the London Brompton Club & any other rides I hear about that I could get to. Hope you have a great time on your vacation. I have the hard-shell Clapton case. 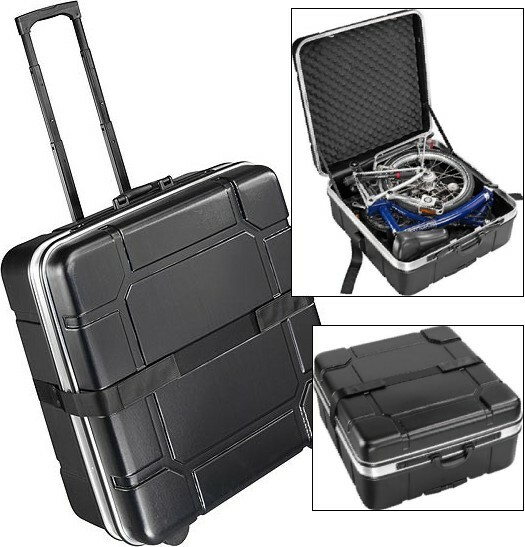 How much is the overall weight with the hard case and your B inside? I would luv to have one but they are pretty expensive, never know I may spot one out in the USA going cheap as from past experience tells me I will be bringing back more than I take and may need to buy a case anyways. If I could find one of these cheap out there I could "kill 2 birds with 1 stone" as it where. I misspoke. I have the B&W case, not the Clapton. My case weighs 17 LBS and 11 OZ. My Brommie is a P-Type with rack and fenders and a SON. You may wanna consider this. Although it says its 10in wide, i think it may flex a little to fit since its not a hardcase. It has internal pockets for your clothing which acts as padding for your b. Like you...i have been considering taking my b on hols. But worry it'll get damaged during flight. Looking at that S & S bag its just a few pounds cheaper than the B & H Hard case from what I've seen. I have no dealings with this company so I don't know how good they are.